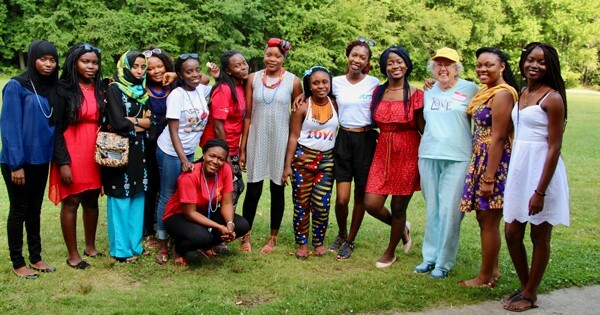 Just two short months ago, 20 young women departed Newark for their homes in Cote d’Ivoire, Kenya, Liberia, Sierra Leone and Zambia after a six-week Study of the U.S. Institutes (SUSI) Women’s Leadership Program at the University of Delaware. Sponsored by the Bureau of Educational and Cultural Affairs at the U.S. Department of State, the SUSI Women’s Leadership Program is administered at UD by the Institute for Global Studies. The academic program is designed for participants to gain a deeper understanding of American society, culture and institutions and to develop personally and professionally through leadership training and civic engagement. 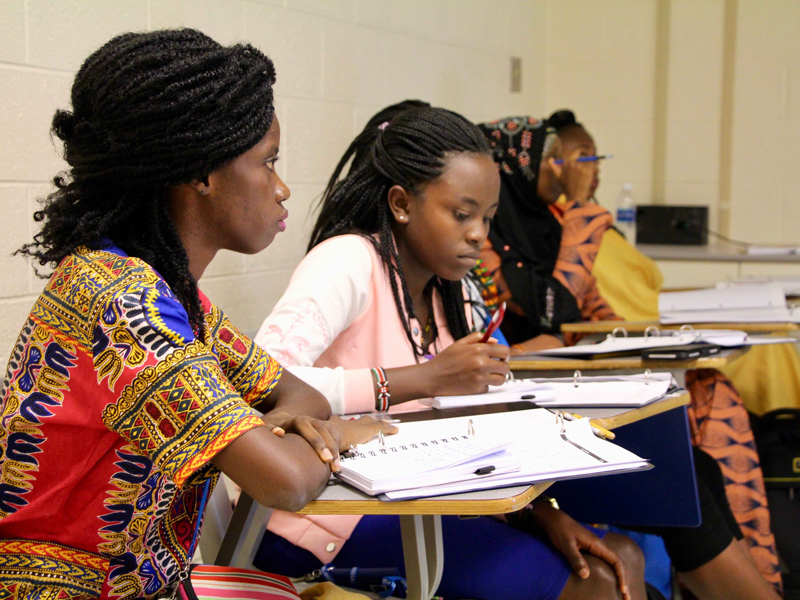 The impact of the program will be felt in communities across Sub-Saharan Africa, as SUSI participants, strengthened by their time at UD, in the Newark community and with their peers, apply their newfound understanding and skills to organizations at home. For some, like Shamsa Mohamed from Kenya, the SUSI program provided an environment to meet like-minded individuals and a renewed energy to create change. Nannah Koroma (far left) came to the UD-State Department program from Sierra Leone and Irene Gachahi came from Kenya. Liseli Muyenga, a third year law student from Zambia, says that she originally chose to apply for the program after being referred by a friend. Now, as Muyenga completes her law degree, she will also champion an initiative she calls “Trisame,” meaning “let’s dress up” in the Tonga dialect. “I’d like to encourage and empower orphaned children in Zambia with self-worth and esteem and help them to be better people in society,” Muyenga said. Musanje Bukowa will continue her work with “She Inspires,” a student-led association at the University of Zambia that aims to educate young women around reproductive health. “We serve as mentors to girls in secondary schools so that they are inspired to concentrate on their education and, if they would like to be sexually active, they use methods that are safe for them,” she said. Bukowa said her experience as a SUSI leader gave her the skills she needed to move forward and create momentum in her organization. Bukowa and her peers will focus this year on reaching young girls with disabilities. According to Diana Waritay, a biology student at Cuttington University in Liberia, the SUSI program empowered her to speak out on issues that affect women. As a part of her initiative, “Why Girls Can,” Waritay will host workshops focused on healthy body image, self-esteem and education on teenage pregnancy prevention. “Working with these women was a highlight of my career,” Amanda Bullough, academic director of the SUSI Women’s Leadership program, wrote in a recent Lerner College blog post. “Women’s leadership development is a real passion of mine and a large area of focus for my research. To see moments of this year’s SUSI Women’s Leadership Program and to catch up with the young leaders themselves, follow @UDGlobal on Instagram and Twitter and engage using #UDSUSI. Those interested in learning more about the program are invited to contact IGS associate director for global partnerships and programs, Dan Bottomley.